You've got to respect the classics. And since the developers (or rights owners) of games like Civilization, Starcraft, and Age of Empires aren't releasing their classics on Android, or they're turning them into twisted versions of the originals, strategy fans need an alternative. 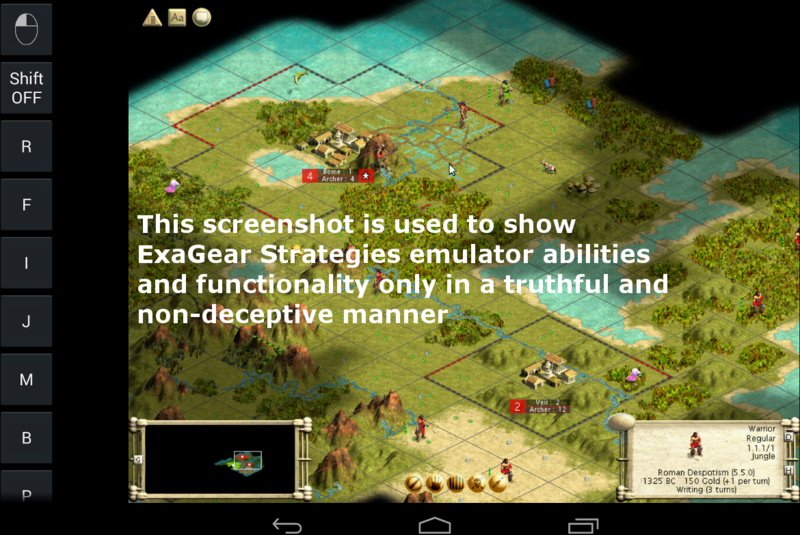 Enter ExaGear, an emulator designed to let those fans play at least some of the classic PC strategy games on Android, complete with controls adapted for precision. The first thing you'll need is a copy of your old game. 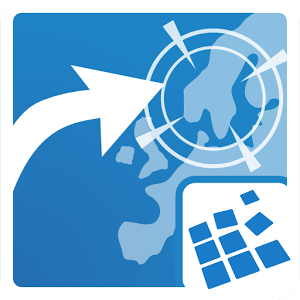 ExaGear Strategies doesn't include any copyrighted game files - as it clearly states in the app description, you'll need to copy your legally-obtained files from a desktop over to your Android device, either directly or via a MicroSD card. 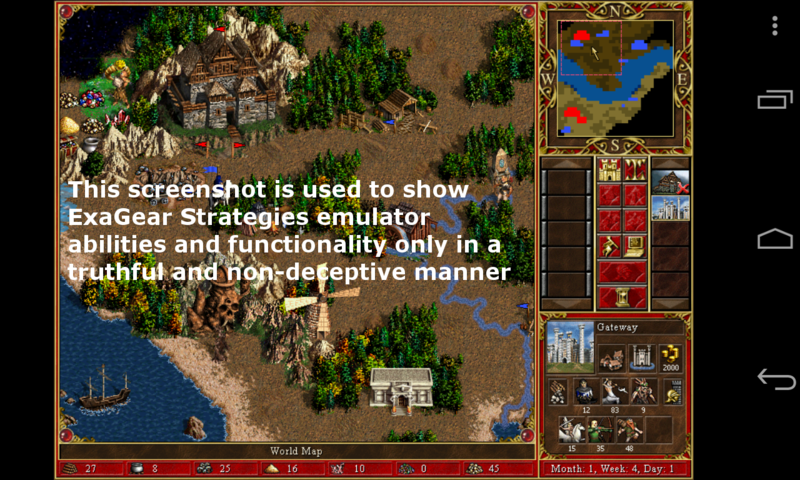 Officially, ExaGear supports Heroes of Might and Magic 3, Disciples 2, and Civilization 3, though many more games are at least playable in the emulator. Even two decades or more after release, some of these x86 games are tough in an emulated environment. 2D sprite-based strategy titles fare a lot better than those with polygonal characters, and even then, you'll need to familiarize yourself with the adapted control scheme. It's offered in two flavors, "Helium" and "Cuprum," which tend to work better or worse depending on the game you're playing. Naturally, the whole thing just works better on a tablet with a larger screen, though the low-res graphics of these old PC games seem to lend themselves surprisingly well towards finger taps. Developer Eltechs is constantly working on improving support for specific titles, and they offer a lot of help for frustrated emulation fans on their website. According to a Digital Trends write-up, Eltechs is also working on a modified version for old RPGs. 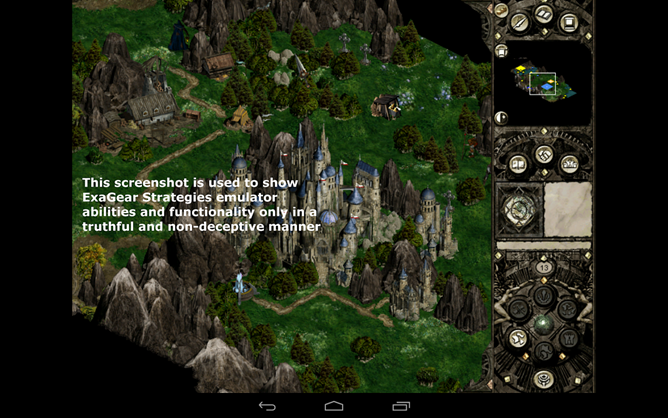 The emulator is free on the Play Store with a three-day trial. After that, you'll need to shell out $7 for one control scheme, or a combined $14 for both. For other Windows game emulation options, check out Winulator, which unfortunately hasn't been updated in about a year.